We specialize in Long distance trips to anywhere. Limo Service Detroit. Detroit Town Car, Detroit Van service, Detroit Party Bus, Hummer limo Detroit, Detroit Airport Car service, Detroit SUV service, Detroit Airport Transfers, Detroit airport shuttle, Detroit airport limo, Detroit airport car service. most economical transportation solution. Comfortable, cost effective travel for day to day travel, airport transfers, or simply getting around town. Luxury combined with a spacious interior that is perfect for up to six passengers. Our SUV’s are the latest in their class with amenities like rear entertainment system, high quality sound system and privacy glass. For larger groups the answer is one or more of our top-of-the-line Ford Vans. 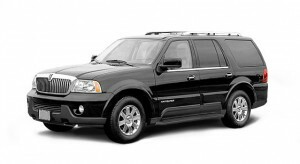 Lots of luggage capacity, comfortable seating for up to 14, and expert Seattle Limo service. Copyright © 2012 Metro DCS – Airport Town Car Services. All Rights Reserved.